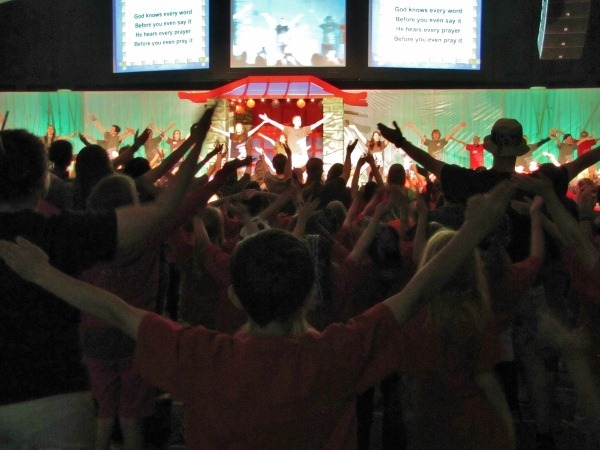 Vacation Bible School is a big deal in our church. It is a big event. It is exciting. It is life-changing. And, it takes the whole church to make it happen. However, it is impossible for everyone to be connected with the event. And, unless you participate in the event, you miss out on the experience. So, we took a bit of the energy, a bit of the excitement and a bit of the message from the 5-day event and shared it during the normal weekend services. Now, whether you were there for the whole week or for an hour on the weekend, we are united in what God is doing through our church. Bamboo (Panda) Power Launcher. We brought back our special creation from Day 1 and shared some fun gifts with the crowd. Soul-touching Drama. Our Bible Team shared a drama reminding us of how much God loves us, what he did for us, and our place with him because of what he asked his son to do for us. It brought tears to my eyes! Beautiful Picture of Worship. Words cannot adequately describe the incredible experience to see children, teen-agers and adults all sincerely, truthfully, whole-heartedly worshipping together. Simply to say…POWERFUL! There are so many people that gave so much time, brought so much energy, expressed so much passion… I want to say thank you to each and every one of you. You are amazing people and God has used you to have an incredible impact on the lives of children, their families and many, many more! Also, a special thanks goes to Ray and his photography team and to Todd the video guy – your pictures and video have made a great impact in sharing the VBS experience! This last week was incredible; but, there is more to come. Keep praying for the Neighborhood VBS’s that will take place throughout the summer! God is doing something big! If you watch the video, you get to see me breaking a board – kung fu style! Of course, you also get to see the experts doing a bit more… Even better, you get to see awesome highlights from the week! I’m impressed! You’ve managed the almost imlbssiope. Truly saying, now a days number of sites have increased on the Internet, so its very important for us to do SEO for our Business Website and so we can cover highest number of customer. Now a days its little bit hard to do SEO without any Professionals help; as only professionals can understand Google’s Update and work accordingly. It’s been wonderful to see the updates on the VBS. VBS is is one of my favorite parts of summer. We are blessed that in our community 4 churches combine their resources for the experience, which can make it overwhelming at times, but definitely a great experience. 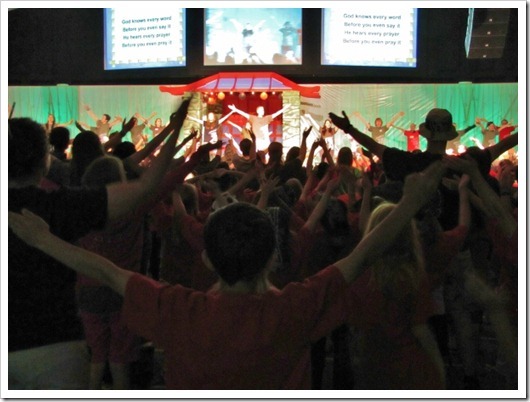 I love the idea of the neighborhood VBS outreaches. In the past the 4 churches here have hosted a carnival the Saturday before VBS started as a way to reach the community. This year however, we are doing a smaller neighborhood VBS each Saturday during the month of June. Hopefully it will lead to more time spent engaging the community with the gospel. That is awesome – 4 churches combining and working together! And the neighborhood outreach with a desire to engage the community sounds really cool. Thanks for stopping by and reading. It has been fun to share the incredible experiences through the blog.